I read somewhere that Super Bowl Sunday is considered a major food holiday in the U.S., second only to Thanksgiving. I don’t know how they come up with these rankings and such but I believe it. The day just isn’t complete without ridiculously large snack spread. Super Bowl Sunday is kind of a big deal in our house and I don’t even follow football. But… that doesn’t mean I’m not down for a good game every once in a while. Or, more accurately, once a year. I mean, come on, the Super Bowl is pretty much always guaranteed to be exciting, right? Because, with the commercials and the halftime show and the food (so much food! ), it’s more than a championship game; it’s an event, you know? And I really don’t even care who wins but I will choose a side before the game begins and my decision is based solely on which team is based in my preferred geographic location. 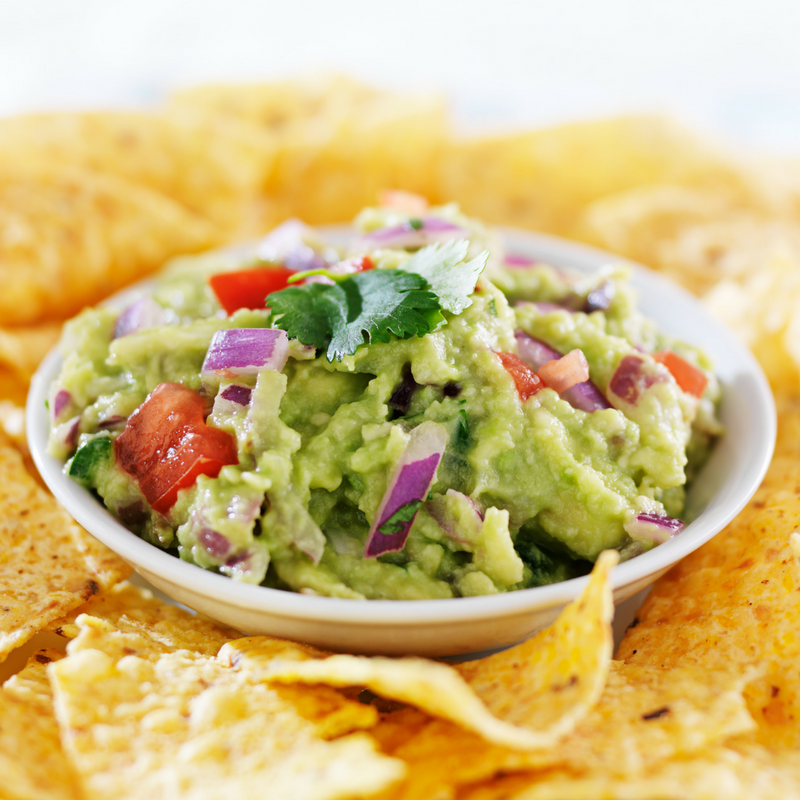 So… pass the guac… and Go Patriots! Remove seeds and scoop avocados into a medium size mixing bowl. Use a potato masher or fork to mash avocados to desired consistency. Add cilantro, tomato, lime juice, red onion, jalapeños, and sea salt. Stir just until combined. Adjust seasoning to taste. Serve immediately or place plastic wrap directly over the top and refrigerate. I am a huge fan of guacamole! I’ll definitely be trying your version soon. Superbowl is not that huge in the UK, but I will happily have a day full of snacks anytime! 😉 This guacamole looks perfect, lovely texture and soooo delicious! Thank you! The Super Bowl is a MAJOR holiday here in the US!